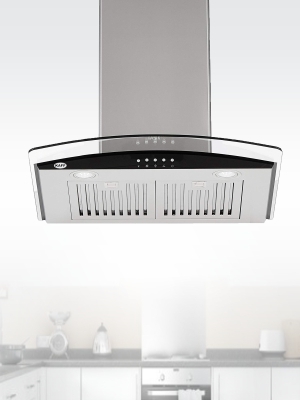 With a suction capacity of 1080 m3/h, the all new Cooker Hood FIM BF 60 is a thoughtful addition for your kitchen. 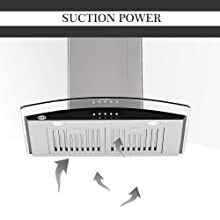 Available in a stainless steel finish this cooker hood is loaded with features such as LED light lamps, 57 Dba max Noise Level. Now you can cook to your heart's delight by embracing the wonderful range of kitchen chimneys that are designed to suit your kitchen’s need. Kitchen chimneys are meant to provide proper ventilation to your kitchen when you are cooking. With a suction capacity of 1080 m3/h, the all-new Cooker Hood FIM BF 60 is a thoughtful addition to your kitchen. 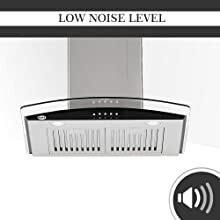 Available in a stainless steel finish this cooker hood is loaded with features such as LED light lamps, 57 Dba Max Noise Level. With a suction capacity of 1080 m³/hr. this chimney combines its elegant design and advanced technology to maintain a smoke-free, fresh and clean kitchen. 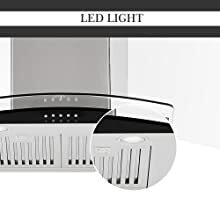 LED light combines excellent light distribution with a low level of energy consumption, Gives high brightness & long lifespan. 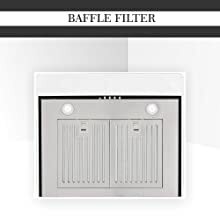 Comes with high-quality baffle filter that collects all grease, smoke and dust particles. The filter needs very less maintenance and needs to be cleaned once in a while for proper working. You don’t have to worry about a noisy kitchen, as this chimney is designed to produce low levels of noise.